10 Best Premade Bug Out Bags Reviews: List and Comparison in 2019! 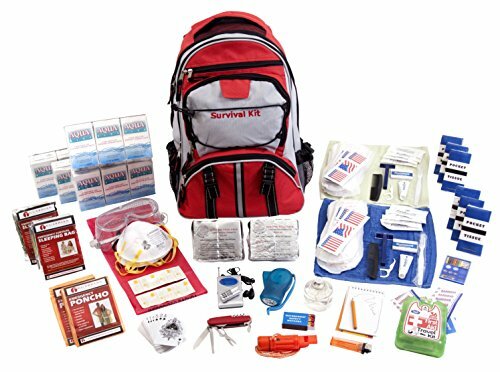 Anyone involved in survival or handling post extreme natural disasters will be familiar with the term “BOB,” which stands for Bug-out-bag. This terminology is actually not unique, and these items come with different names, such as a 72-hour bag, PERK (personal emergency relocation kit) and a plethora of unusual names. Essentially, the BOB is evacuation equipment and treatment bag that holds a lot of important items used by the wearer of the bag to help provide support and assistance to survivors of earthquakes, floods, tornados and any other type of natural disaster. The focus is on immediate aid and a 72-hour treatment facilitator that will give the survivors time till full evacuation teams and solutions arrive. The term “bug-out-bag” might be a derivative of the air force’s “bail-out-bag” which is essentially the same thing. The term Bug-out first appeared during the Korean war and has stuck since then. The concept of a bug-out is to relocate (retreat) to a safe position, manage the location and survive until full extraction was possible. Today, the BOB is a standard emergency and survivalist equipment package. 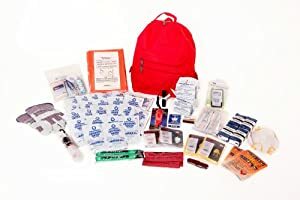 It is basically a rucksack or backpack filled with emergency treatment items, water, and assistance tools that help the carrier deal with emergency situations. Natural disasters produce different situations that require unique tools. The after effects of an earthquake are different to a flash flood, which is both different to a snow avalanche or forest fire. While ultimately, damage to property and injuries might seem similar, the handling of a wet climate situation to a dry one requires different skill sets and tools. This is why some producers manufacture focused bug out bags aimed at specific environments. 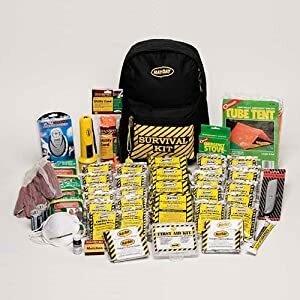 Essentially, the best bug out bag backpack will contain the following items, I will list all the options here, rather than present the content of each item in detail, since all the products I review are a complete bug out bags. 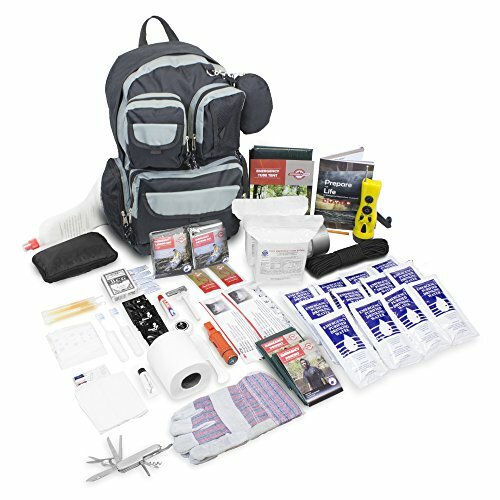 In any event, when you buy a bug out bag kit, make sure to check off all the items you will need. Take into account that different disasters require different items. Including a full complement of bandages, gauzes, plasters, splints, creams, and painkillers as well as analgesics. Face masks and various small tools such as scissors. 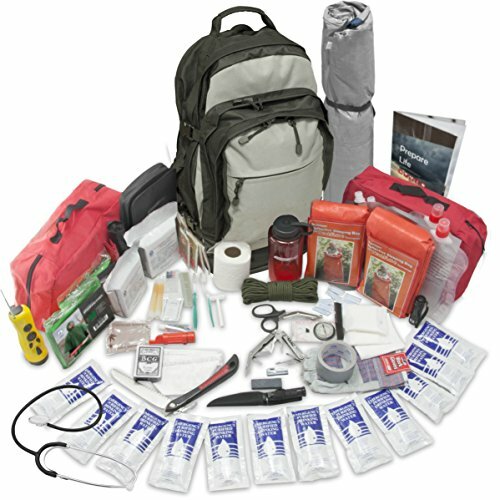 All bug out bags will contain various weather protection items for different weather conditions. These will include Reflective Sleeping Bags, emergency ponchos, and tube tents. For cold climates and situations of hypothermia, the bag will contain hand and body warmers. Take into account that weather conditions include anything from freezing cold (-30 C) to being near forest fires (Over 60 C when close up). Extreme rain and snow lead not only to damp grounds but to flooding, while hot desert days end up in cold desert nights. Another condition is high altitude sun, it might not be hot, but the effect of the sun at high altitude is worse than sitting on a hot beach side. All bug out bags will have a provision of bottled water as well as a water purification kit that includes a folding container, water purification powder, and a water purification sheet. These items must come with a five-year shelf life. Remember to check the shelf life from date of manufacture, note the date of purchase. I also suggest you pack extra rations, the bug out bags only include the most basic for survival. I always believe that survival is also about a full tummy, there is something about feeling full that gives hope. 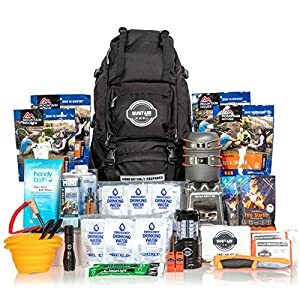 This is where bug out bags differ, but in general, they should all contain the following items; toothpaste and toothbrushes, combs and razors, soap bars and shampoo, Feminine pads and toilet paper as well as a washcloth and for some a sewing kit. A personal word abo the famous sewing kit: Don’t rely on the one small one, add some more needles, thread, scissors, and other items used for sewing and fixing such as nail clippers, nail files. Personal note: There is never enough toilet paper or wet wipes. Take more, always take more. All bug out bags must contain glow sticks, preferably more than 2, if you need to buy more go out and buy some, for some reason you never seem to have enough of them. The BOB should also come with a whistle (check it to see if it works), a 50-foot 5 mm rope, one roll of waterproofing duct tape which is very useful in wet situations. You will need to make sure there are workers gloves, or heavy-duty gloves to handle heavy and sharp objects. There has to be a multi-tool knife, make sure you have an extra one if you can, you never know when you need more than one set of pliers. You will also need a compass and if you can a hunting knife with fishing hook and accessories. You will defeatedly expect to find a can opener and a pack of cards. You should add the following items yourself: at least two full lighters and four boxes of matches sealed in plastic bags, as well as a flint fire starting the set. The final object you will need is a metal container, cup or whatever for boiling water. In the most bug out bags, you will find a survival guidebook with illustrations on how to manage various situations. You will find a pencil and paper too. In some, you will find a waterproof zip bag to hold in items that you don’t want to get wet. In some bug out bags, or should I say in the complete bug out bag you will find a radio set and a flashlight, and in some rare instances even a throw-away cell phone. As you can see the list of items required in a big out bag are extensive, and again, you will find some that add digging tools as well as various tools that I have not mentioned here. The Emergency Zone bug out bag was my first choice for its comprehensive list of items as well as its well-compartmented design and sturdiness of the bag. The 840-2 Urban Survival Bug Outweighs less than 15 pounds and caters to 2 people, but you can get a 4-person version too. 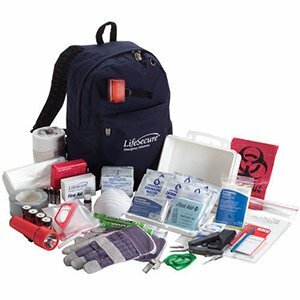 This kit is comprehensive and comes with every accessory you can think of. However, not specifically designed for any weather extremity in mind, it is a general bug-out emergency kit bag for use to treat and help survivors in most situations. You will need to add specifics for every different environment type such as mountaineering (high altitude) or flooding. 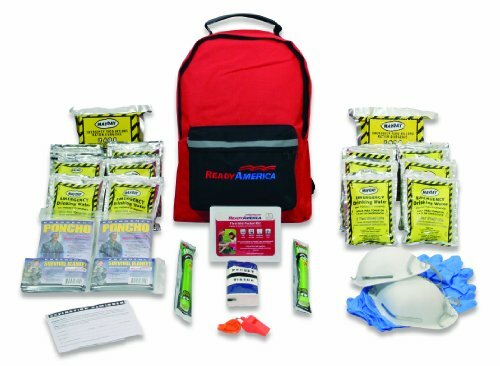 The Ready America 70280 Emergency Kit is for two people and three days of survival. This rugged bag contains food bars (2,400 calories and five-year shelf life) as well as water pouches. Its bright color (red) sticks out, which is good since emergency treatment is not about hiding from sight. The bag itself is rugged enough but is a no-frills bag, which is a great design for the serious urban hiker and survivalist. I personally find it lacks in pockets and compartments, but maybe the Spartan design allows for a more ergonomically smooth experience than other compartmentalized options. I personally found this kit easy to use and helped in very dusty climates, since it provided dust specific items and bags of water. The Hiker’s Deluxe Emergency Kit contains water purification tablets and safety goggles. It also includes an infectious waste bag (for medical or toxic waste). This is an exceptional kit, and I like its multiple pockets and overall design. 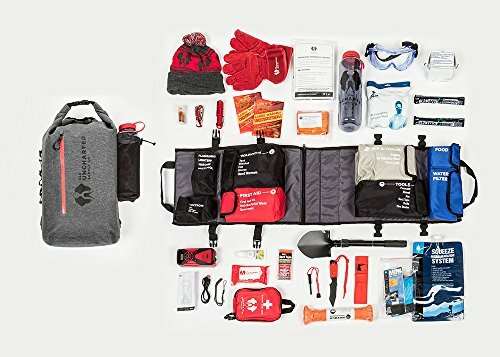 This is a great kit to take with you when you go hiking anywhere in the US, but don’t take it to cold weather conditions, it lacks heating elements. However, this kit is exceptional when stuck in the boonies, and you need to purify water and survive the long trek across waterlogged or woodland style environments. 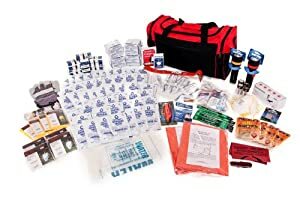 This is a FEMA designed kit and shows a lot of thought when preparing it. This bug out bag includes items to handle cold weather conditions as well as hot environments. The multi-purpose knife is quite basic, so I personally add a sturdier version of extra tooling. This unit includes food bars and water, as well as a good fire-starting kit. It boasts twice the water needed for two people in 72 hours, I haven’t tested this out, but I always take extra water with me wherever I go. I actually used this kit in the State of Washington in the winter. I was well covered for warmth, but had a power outage in the vehicle and was stranded in the middle of nowhere for two days. I have to admit, that Sustain Supply Co. has produced one of the best bug-out survival kits on the market. Their kit includes a very strong and resourceful backpack, filled with items to help two people survive 72 hours. It includes a Datrex mini water filter kit that can filter nearly 100,000 gallons of water (which you won’t need). This kit also includes 12 servings of the MRE (Meals ready to eat) Mountain House products. This complete bug-out bag also ferrocerium rod and some instafire tinder to help you light a fire in a jiffy. This package comes swath LED lighting, containers and a plethora of survival goodies. I have to hand it to SSC, they know how to pack a bag and fill it with the necessary items for a full 72-hour survival situation. This is a personal account of a very close friend that used this bag when walking along Grand Canyon and got stuck when one of the group slipped and broke an ankle. Broke, not sprained. They were stuck for 24 hours (not 72), but the kit saved their hides, and while the victim’s leg was killing him with pain, that extra flask of Bourbon helped smooth the night out. Of course, the water and the fire started kit gave the team a great overnight experience. Emergency Zones bag out bag is one of the more professional bags on the market. It is aimed at medical care and provides more tools than most of its competitors. It is comparable to a military medic bag in some instances, with its folding saw, stethoscope, multiple extreme weather protection items and basic survival items, water and nutrition. They also include batteries as reserves in case your torch batteries die out. I had this kit in Colorado, and boy did it save us. We were a team of three travelers that got hit b some kind of tummy bug. One of the team is a medic, and the extra equipment helped her diagnose our status, this is a real lifesaver. This is one of my favorites, and not just for its name, but for its content. It was designed by professionals for professionals. 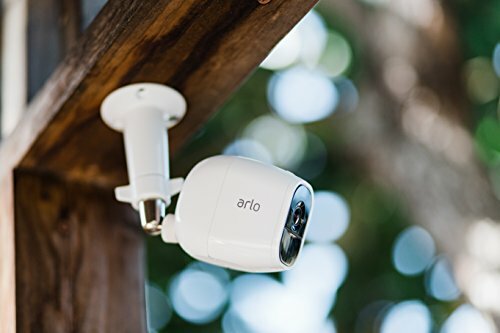 You will notice that it is not in a standard backpack, but in a specially designed (ergonomic) package that was developed for quick ease of access, and space conservation. The Seventy2 includes extra items that are not found in most bug out bag kits, such as Mylar Thermal Space Blankets and tent, a water syringe, sunscreen for that high-altitude sunburns, a digging tool, wool cap, and other heating items. This pack is perfect for those cold mountain heights. In fact, it was designed by mountaineers, so this is perhaps one of the leading mountaineering survival packs on the market. This an earthquake emergency kit, designed specifically for those dusty awkward environments that require a lot of heavy lifting, a lot of dust cleaning and the purification of all water sources. This kit comes with an outdoor stove, so you don’t need to handle any messy cooking situations. This is a designer style survival kit that takes into account all you need for an emergency situation and surviving the initial 72-hours but does it in style. Its only drawback is that it is for one person, which means that if you travel in a group, only one of you will enjoy its provisions. This kit provides everything you want in a dry emergency situation, so when you are going hiking alone, take this kit with you. If you intend to take a kit that can care for two or more people, then choose the LifeSecure two person kit instead. Unlike the other kits here, this one uses a duffel bag and is intended for more professional use that personal hiking or survivalist. The reason it’s in a duffel bag is that it’s a four-person kit, which makes it perfect for those camping and hiking trips that families take. It is also a good choice when going to help evacuate survivors from natural disasters. Due to its size, it carries 48 food bars and plenty of other items. I personally prefer taking this bag when I go camping with my partner. Having extra provisions is useful when you need to help others in a less fortunate situation. Bug out bags survival backpacks is very similar in content and design. There are more and less professional options. However, you have to take into account the following factors for deciding which is the best bug out bag kit for you. Environment: Where are you going, and for how long? Take into account that different geographies provide different adverse conditions, so when you plan a trip to North Dakota, don’t expect the same emergency situations you would find in South Florida. Weather: what season is it, what is the weather going to be like? Climate is a major issue, hot or cold, wet or dry, the extremes in climates can be quite volatile. If you get stuck in a snow blizzard, you will need different items to being stuck in the middle of the desolate rocky desert. Numbers: How many people are going with you? If you are going solo, make sure you have plenty of communication alternatives and let people know where and when you are going. The same applies to a group of two. The moment you become a larger group, three or more, you need to plan the emergency survival situations together. It’s always best to give out “jobs” ahead of time so that when you find yourselves in a situation, you know who is taking control over what. lso need to plan for extreme emergency situations. This doesn’t mean you need to take every possible item, you just need to plan ahead of time properly. This means, don’t go hiking next to an active volcano with emergency alerts. Finally, if you are traveling for emergency aid, take more than what you need and always add extra provisions. 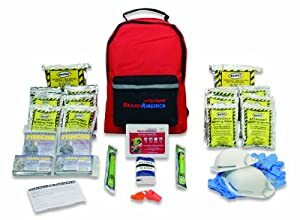 These bags are the basics, they do not intend to be fully professional kits used by real emergency staff (FEMA, Lifeguard), if you are a volunteer, or live in an area where you need to provide help occasionally, invest in your kit properly.